It's still been quite warm the last few days here in Southern California but today is overcast and cloudy, causing me to feel the effects of the stay inside, wear cozy socks, don't get out of my pj's state of mind. So when it comes to making dinner I'm all about warm, hearty, yet healthy dishes that are simple to make. My go to dish is always chili since it's filling and served warm. 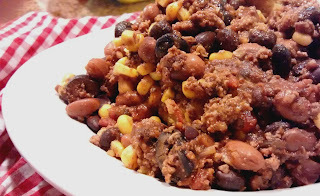 I also like that with chili I can change it up and make it my own. 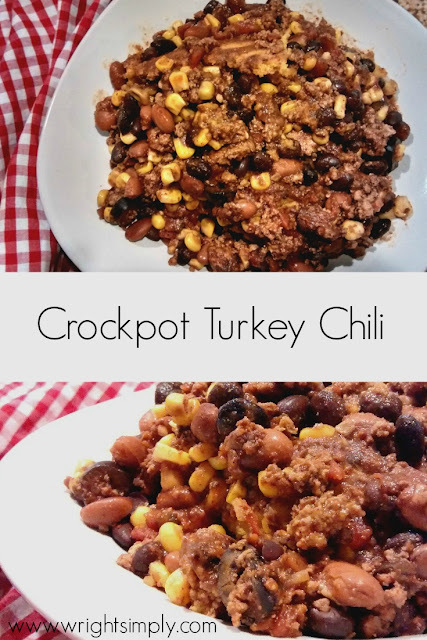 Here is my go to recipe for a big crockpot (or stovetop pot) full of chili... it's prep time is quick and easy, and perfect for get togethers or even as a side dish! *I love putting chili in tortillas and telling the kids we're having burritos since my daughter won't eat chili but will eat burritos ha. 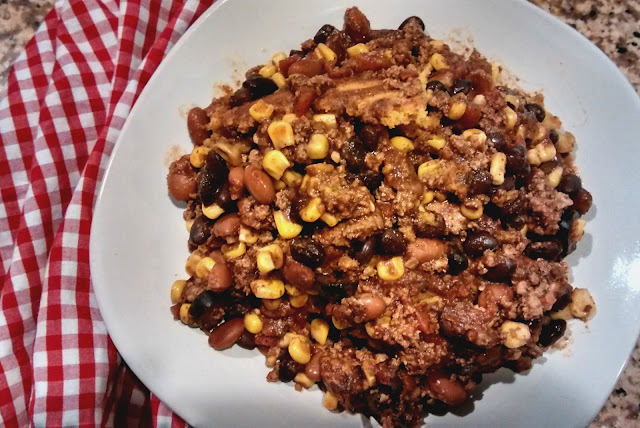 And with the smoky taste the seasoning gives, this chili is great on a burger for the ultimate chili burger, or add some pinto beans and grated cheese for a home made chili-size! However, my favorite way to incorporate chili is on a nice plate of nachos! I have not worked much with a crockpot yet! I need too! Looks like you have it down. I am a sucker for anything with ground turkey by the way! My hub loves chili and I make it with beef. But turkey would be so much healthier, I wonder if he would even notice? This chili looks delicious! Perfect for Thanksgiving leftovers! this looks so good! 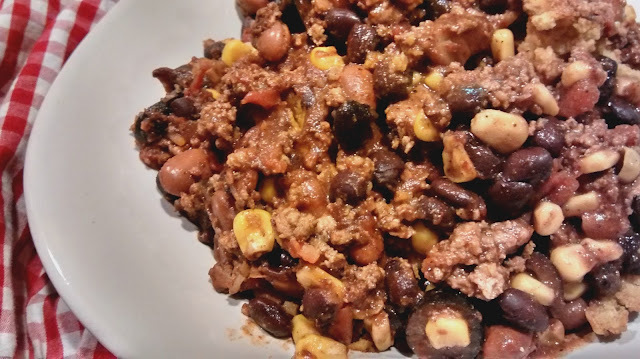 my husband was just asking me if I had a good crock pot chili recipe! now I can tell him I do! Thanks for sharing this! It's the perfect chili weather today, this looks amazing! Yummy! Since I don't eat red meat, this is absolutely perfect. I make turkey chili all the time but I have yet to do it in the crock pot. Thank you for sharing this!